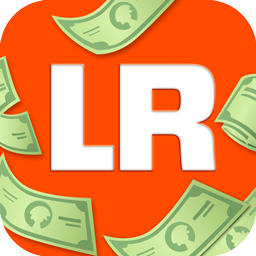 letsRUMBL is a Daily Fantasy Sports App available for your iPhone and iPad. We built a new gaming experience that is fast to play and easy to win. Hone your skills with Head 2 Head contests or take a shot at the High Stakes cash by drafting the perfect team. Check it out today, you can’t lose! Say good bye to salary caps - forget 'em! In letsRUMBL, we do things a little differently - and a lot simpler. When drafting your lineup, you won't have to calculate salaries or even think about positions. You simply pick a player from each Star Tier and once you have your 5-man lineup, you're ready to go. Playing against other players won't be the only thing you'll be doing in letsRUMBL. Oh no, you'll be competing against yourself as well. You're going to keep beating your highest score, or maintain high scores in general. This is because every week our Leaderboard contests close, paying out the Top 15 ranking players - simply for playing the game. Enter High Stakes Leaderboards for bigger payouts - the bigger the risk, the bigger the reward! We're all about speed. letsRUMBL is no different. We have the fastest draft process in the business, but we also have the fastest contest creation flow! Making a lineup to play against someone? Why not play that same lineup against 25 other users - at once. All at the tap of a single button. You'll not only win fast with letsRUMBL, you'll play fast, too. 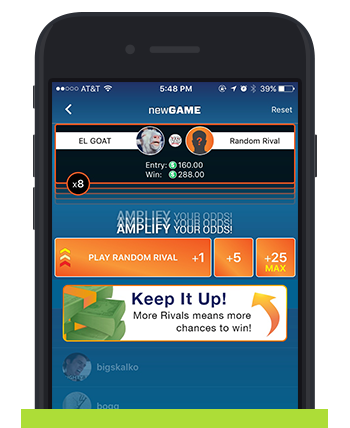 With SMAK letsRUMBL gives players a fun and entertaining fantasy experience unlike others. SMAK your losers when you win! Will they challenge back for a rematch? SMAK brings the fantasy experience on a level that was never seen before! Are your SMAK'N or SMAK'D? From Rookies to Pros, stack up your achievements to become legendary. Unlock each achievement to complete your fantasy journey at letsRUMBL Daily Fantasy Sports. © 2017 Synkt Games, Inc. All rights reserved.